19-19-19 water soluble fertilizers containing all the three major plant nutrients i.e. Nitrogen, Phosphorus and Potash for crops grown in green houses as well as other field crops. 2) Drip grade which is suitable for application through drip irrigation system. 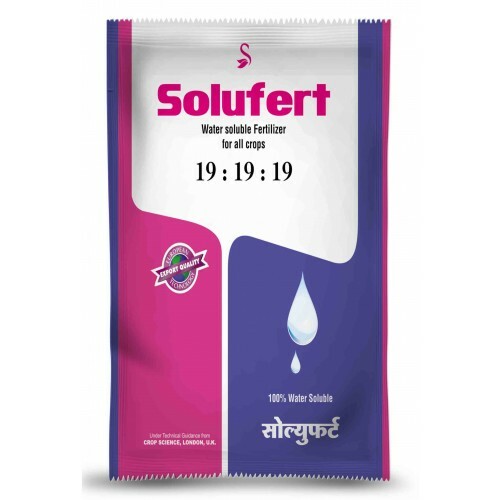 Use of 19-19-19 either through drip or foliar prevents deterioration of soil texture as soil complexion and mechanical damage to the crop is eliminated. The major features of 19-19-19 foliar and drip grades are as follows. The product offer here is 500 gm. Pack , delivered to your address . We also provide our customers with various Diesel Engine Pump Sets. These are designed to offer..